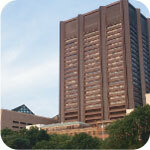 The New York City Children’s Environmental Health Center is located at the Ichan School of Medicine at Mount Sinai on the Upper East Side of Manhattan. Our Environmental Pediatricians provide evidence-based, clinical pediatric environmental health services for families and health care professionals including telephone consultations, telemedicine visits, and clinical visits. We have integrated Environmental Health E-screening into routine well child care at Mount Sinai Pediatrics Associates as well as in Pediatric Allergy Immunology and Pulmonology. We help families to identify common environmental concerns and refer them to community resources such as home based services to reduce asthma triggers. NYS CEHC trains health care professionals and trainees to incorporate environmental health into routine health care. Together with partners, we educate families and communities about environmental health. Together with diverse community partners, we work to promote programs and policies that protect and improve children’s health.